I awoke in Ft Stockton, TX in the middle of no where to 32 degrees and drizzle. I thought I would have been ahead of the front as when I went to bed it had been in the 80's but no! Feeling that the ground was still sufficiently warm, I got in the road at 7:00 headed for El Paso. I had 230 miles to go to get there & the drizzle and fog lasted for the first 100 miles and I broke through the western front and it cleared and warmed. I went to El Paso and when I got there I found the museum down town with a adobe house closed as it was Monday. I will have to check such details in the future. So I sat in the camper looking for something else interesting to do and thought of the highest tram in the world. Wait it is closed on Mondays too. Err! 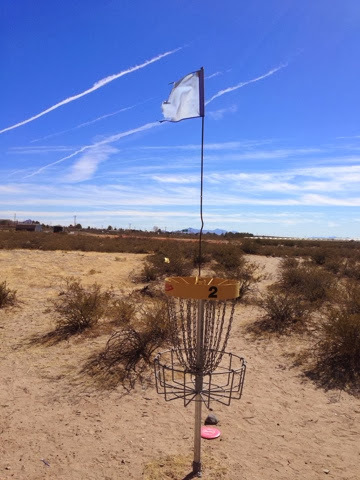 So having been denied I looked forward to Las Cruces, NM and spotted a disc golf course at the college there so I headed that way. I arrived and there was no one there. It was or could be a good course again, but it had fallen into disrepair. I was able to play it and it was interesting as it was in desert shrubs. The biggest problem was folliwing where the next hole was. Even though the baskets were numbered the tees were not. It was very windy and my disc did some interesting moves. I then looked forward again and looked at some state parks but opted for an early stop for laundry. 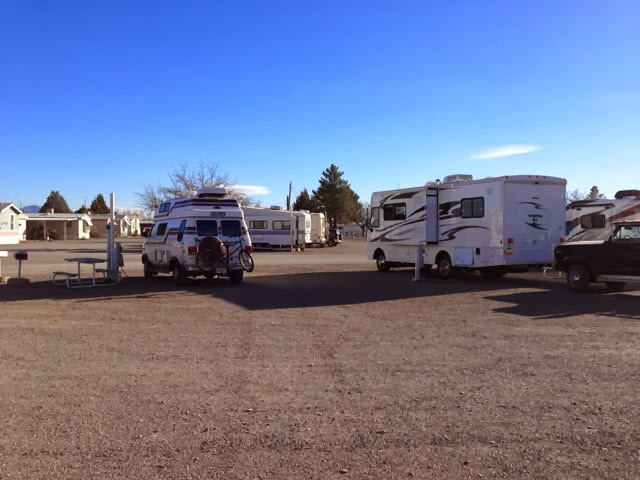 I stopped in Demimg, NM on my way to Tucson, AZ then Phoenix for Thursday when I have tickets to a show there. 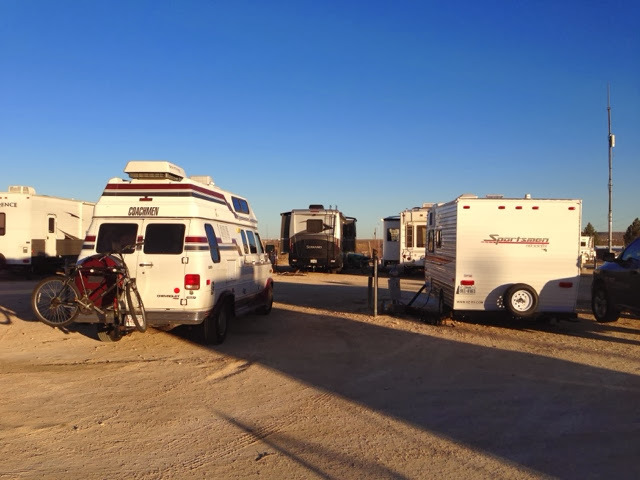 Here is the camp ground, I paid $26 for the night and it is a very nice place including a laundry right near my site. I get water electricity sewer and internet like last night in Ft Stockton for $15 but this place is so much nicer as it has toilets and showers and laundry and the place is clean. It has an indoor pool to. I will be moving towards Tuscon for a relatively short days ride.